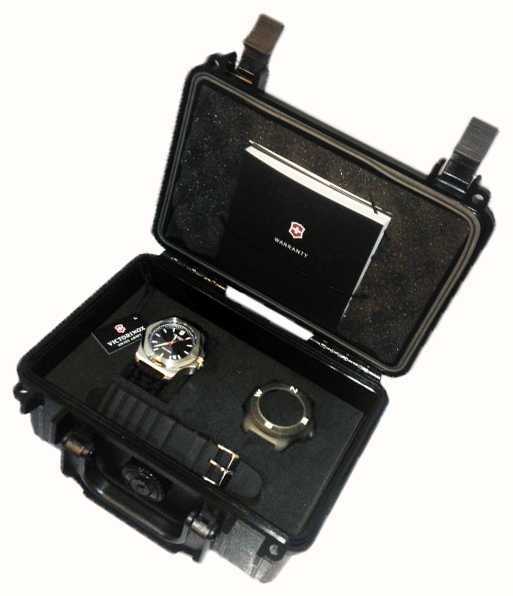 Includes black rubber strap and limited edition presentation box as pictured. 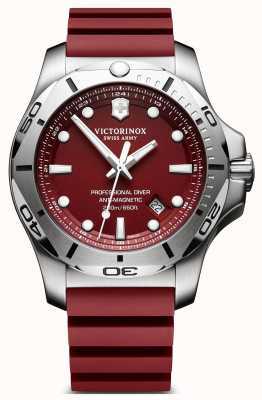 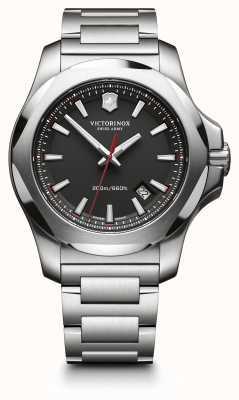 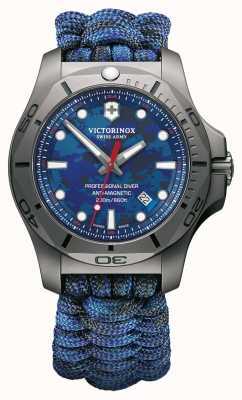 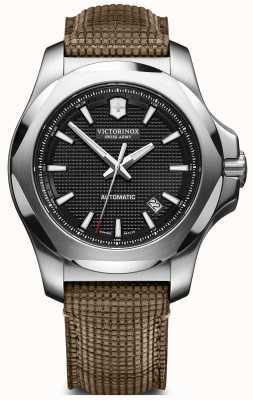 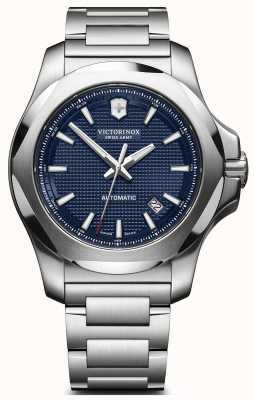 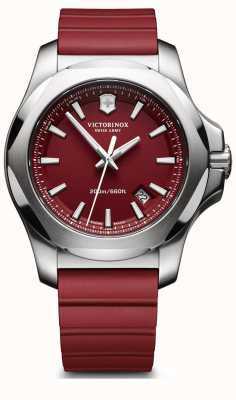 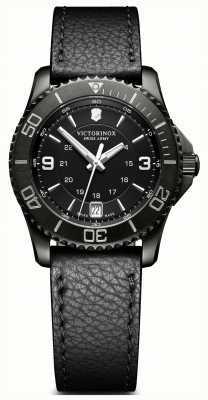 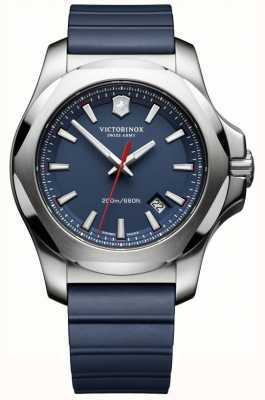 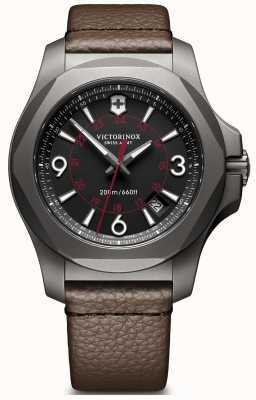 Be ready for anything with this INOX range timepiece from Victorinox. 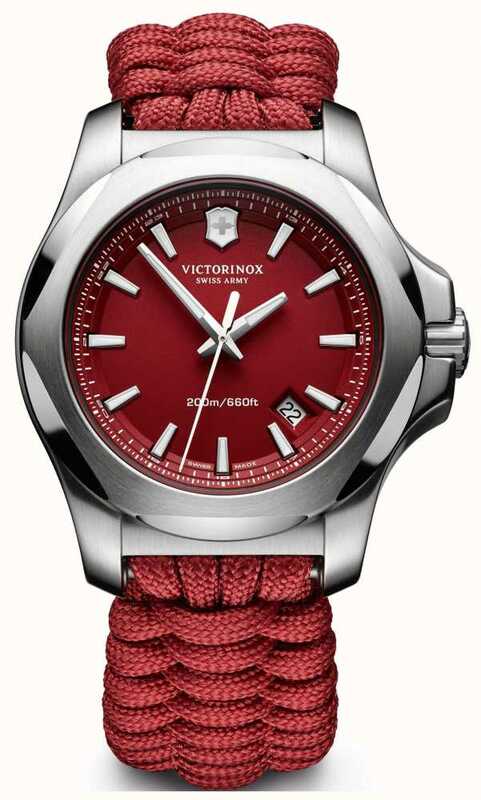 The INOX range is the most durable watch available from one of the world's best sport watch brands, giving you the best of the best. 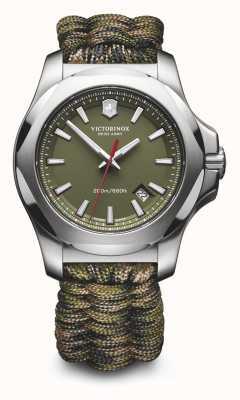 This model brings a uniquely active feel with a paracord style bracelet strap which is so light to the touch, extremely comfortable and perfect for the true adventurer thanks to the increased resilience. 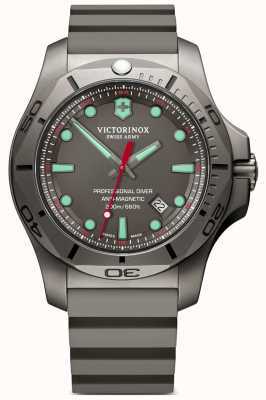 Features: 200m water resistance, glowing hands, glowing hour markers and a date display.